Elsa is a buffet with unique amalgamation of wood and steel. 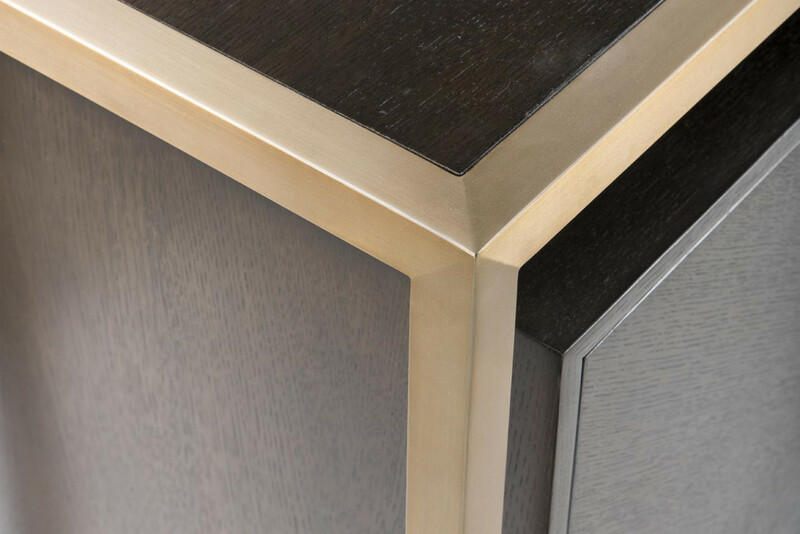 The buffet features a wide steel top in brass finish that syncs well with the oak veneer frame. Created with a pair of cabinets for more storage. 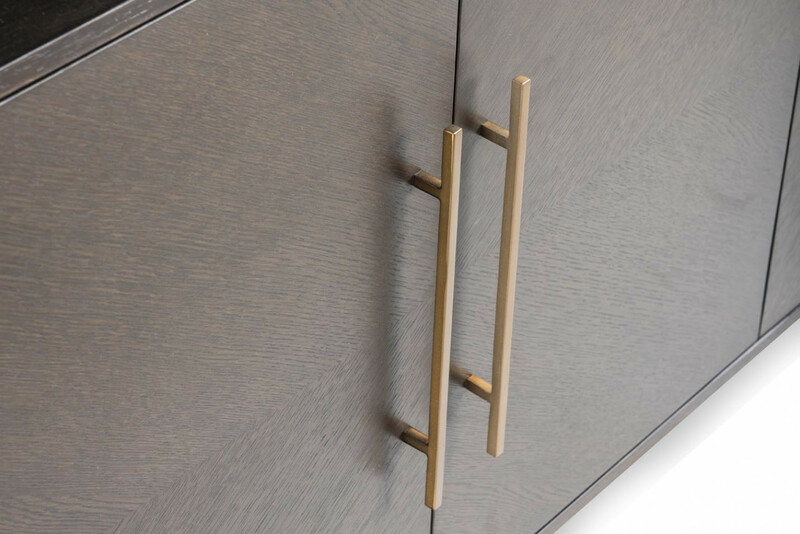 Elsa buffet is a fine concoction of wood and steel that fulfills one's utility and aesthetics aspirations.